This past April Porsche officially entered the "sharing economy" when they launched their Share a Porsche program in the Netherlands. The idea was pretty simple, you, along with at least one other friend, and up to four people in total, could "share a Porsche" by dividing the cost of a 12 to 24 month lease among your group. To help facilitate the sharing process and make sure that everyone gets equal time, the whole lease share is controlled by an app that logs time, miles and even the Porsche's location. I'm not sure I would want to participate, but an interesting idea and one that probably helps people that might otherwise not be able to afford a Porsche get to experience one. Anyway, I digress. 2016-06-25. Zandvoort. PORSCHE RACING DAYS. To help kick-off their new program, Porsche ran a contest, aptly named "Porsche Marriage" where friends were asked to propose to one another, get engaged and if chosen by Porsche, get married. In total their were 1750 proposals, 1620 engagements and 540 potential marriages. However, there could be only one winner, or more correctly, one group of winners. 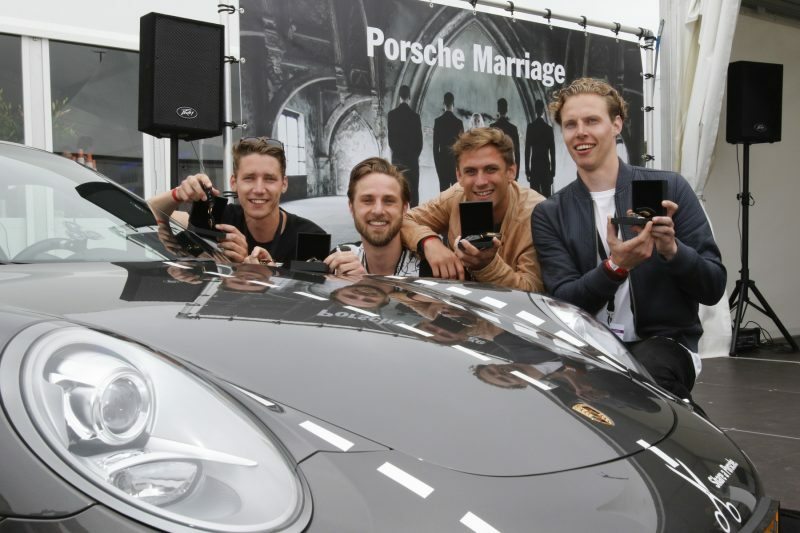 Yuri, Casper, Nick and Jasper were the lucky four to win the Porsche Marriage contest. The contest was no joke, however. The four winners were flown to Kinnaur India, one of the only places in the world where group marriages are a tradition. After a formal ceremony, and upon their return to The Netherlands, the four received a dowry in the form of a Porsche 911 to be shared amongst them for the course of year. Would you marry three of your friends to share a Porsche with them for a year?